Departure procedures are instrument flight procedures created to manage and protect departing traffic from obstacles and terrain. Instrument departure procedures come in two types: Obstacle Departure Procedures (ODPs) and Standard Instrument Departures (SIDs). ODPs provide obstruction clearance for pilots when departing on an instrument flight plan, and SIDs are meant to coordinate the transition from the terminal environment to the en route phase of flight in an efficient manner while ensuring obstacle and terrain clearance. ODPs are meant to assist IFR pilots during the climb from the runway to the assigned or published en route altitude while avoiding obstacles and terrain. ODPs are commonly expressed in text, but occasionally in graphic form. In the familiar Department of Transportation charts, the ODPs are found in the U.S. Terminal Procedures, known in the vernacular as the “approach plates.” Textual ODPs are found in Section C (IFR Take-off Minimums and Departure Procedures) of the Terminal Procedures and the charted Obstacle DPs will be found following the approach charts for the specific airport. Obstacle departure procedures aren’t assigned by ATC. Instead, it’s up to the pilot to seek them out and fly them as necessary. Unless included in the IFR clearance, compliance with an ODP is not mandatory, but it is wise. Standard Instrument Departures (SIDs) are assigned by ATC and are found at busy airports. SIDs help ease the transition from the terminal airport environment to the en route phase of the flight, and compliance helps ATC manage the traffic flow. SIDs are designed with obstacle clearance in mind, as well as noise abatement, but are primarily used to reduce workload and radio chatter between pilots and controllers by managing the traffic flow in an efficient way. They are charted graphically and can be found alongside approach plates in the terminal procedures book. SIDs often include transition routes, which make the connection from the departure to an en route airway or course seamless. In a radar environment, radar SIDs are common, wherein controllers provide radar vectors to an en route fix. They usually include an initial course specific to the departure runway and a second phase, a transition to a fix that begins the route of flight. These SIDs usually include the departure frequency for the various directions of departure. Standard instrument departures often have mandatory climb gradients and navigational capabilities. 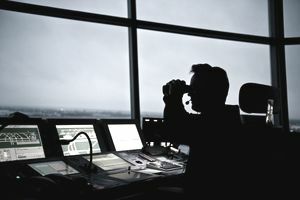 Pilots should be aware of their aircraft climb performance and navigational capabilities (or lack thereof) before accepting a SID from air traffic control. Area navigation (RNAV) departures are becoming more common as the use of GPS and ADS-B is becoming more widespread. RNAV routes will allow a properly equipped RNAV airplane to fly a more efficient course, since these aircraft will not necessarily need to rely on traditional means of navigating, such as VORs. The course of an RNAV departure can be customized to follow a curved course to avoid airspace, population areas for noise avoidance, or other airports. RNAV departures are currently being developed as part of the FAA’s National Airspace Redesign project and should allow for more efficient air transportation, as pilots will more often be able to fly direct routes. What is The Pitot-Static System and the Aircraft Instrument It Powers?